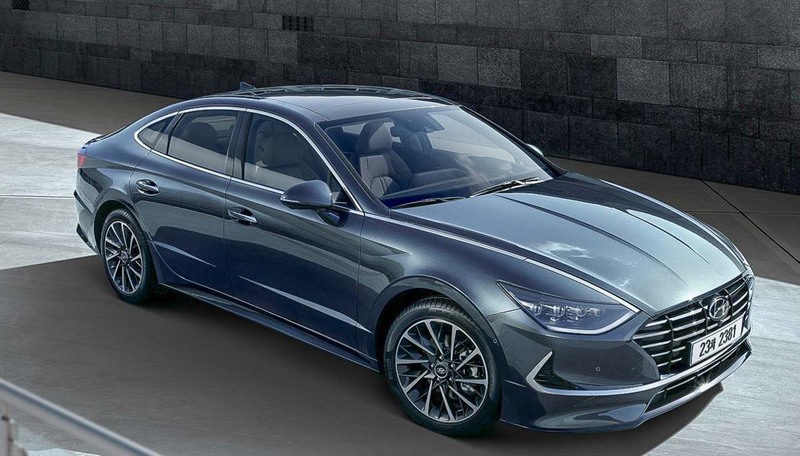 Hyundai has finally dropped official images of the next generation Sonata after the internet saw a few leaks over the last week. The 2020 Sonata will make its global debut at the 2019 New York International Auto Show hosted between April 19 and 29. 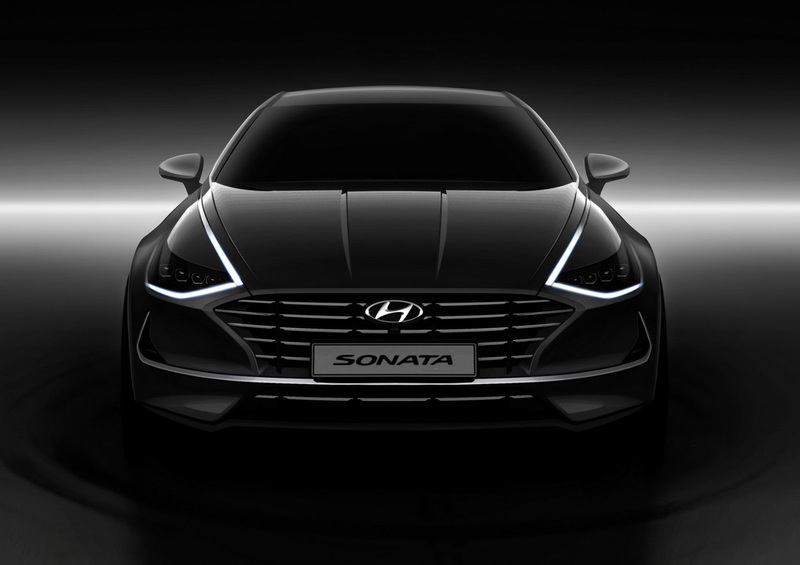 The Sonata will move into its eighth generation and it has been created from the ground up. Just by looking at it, you could easily spot the differences in exterior over the outgoing model and it is apparent that the mid-size sedan has become sportier as well as more matured. 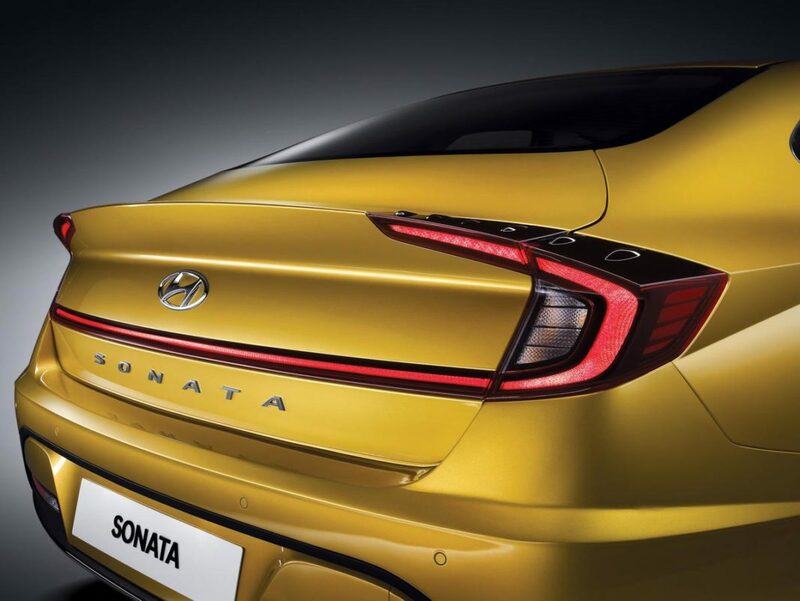 Courtesy of being based on Sensuous Sportiness design philosophy, the new styling language of Hyundai, the Next Gen Sonata takes plenty of influence from the Le Fil Rouge concept displayed at the 2018 Geneva Motor Show with a four door coupe body style. The 2020 Sonata has a proper sedan attire with coupe-ish silhouette while the sloping roofline, lowly positioned trunk lid, short overhangs visible all around, and chrome accents with LED built-in lighting running from the headlamps on either side and covering the window sills are some of the unique highlights. From the HDC-2 Grandmaster Concept that paved the way for Palisade three-row SUV, the all-new Sonata receives Hidden Lighting Lamps and it appears like a chromic material when switched off and really brings the exterior alive when turned on to act as Daytime Running Lights. The strip runs below the cascading grille with horizontal slats and covers the whole fog lamp cluster. The mid-size sedan looks particularly exhilarating in the grey colour and brings an Aston Martin-ish vibe while the yellow paint job with the big crisscross alloy wheels add a compelling sporty character as well. The bigger proportions meant that the new Sonata is longer by 45 mm, wider by 25 mm and lower by 30 mm with wheelbase extended by 35 mm. 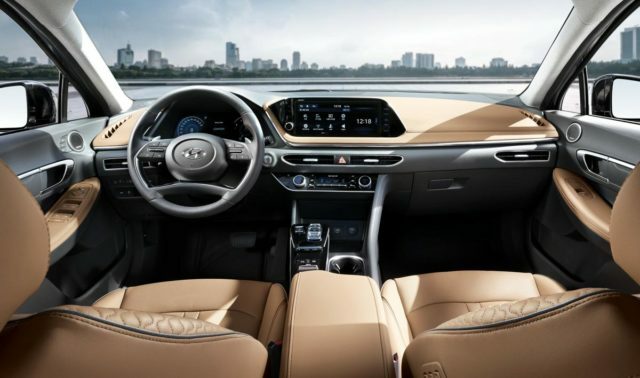 Just as the exterior, Hyundai went back to the drawing board to create the tanned-out interior. It is claimed to be inspired by Stealth aircraft and has a touchscreen sitting in the middle of the dash and the AC vents are neatly crafted. The multi-functional steering wheel has integrated controls and the instrument console has a large digital MID. The eighth-gen Sonata also boasts a digital key and is operable through a smartphone app to unlock and start the vehicle. In India, Hyundai pulled the plugs on Sonata back in 2015 due to the absence of diesel engine. 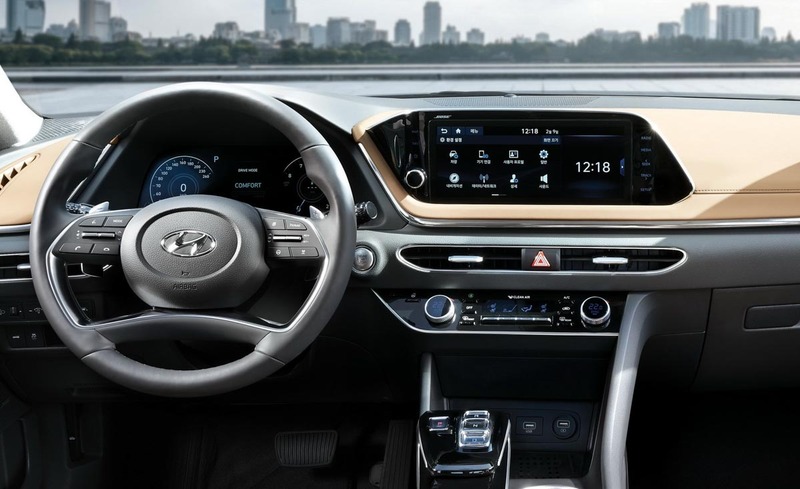 Whether it will arrive or not in the near future is yet unknown but what we do know, however, is that in New York the Sonata will debut alongside Styx subcompact SUV that will go on sale by the middle of this year in India. 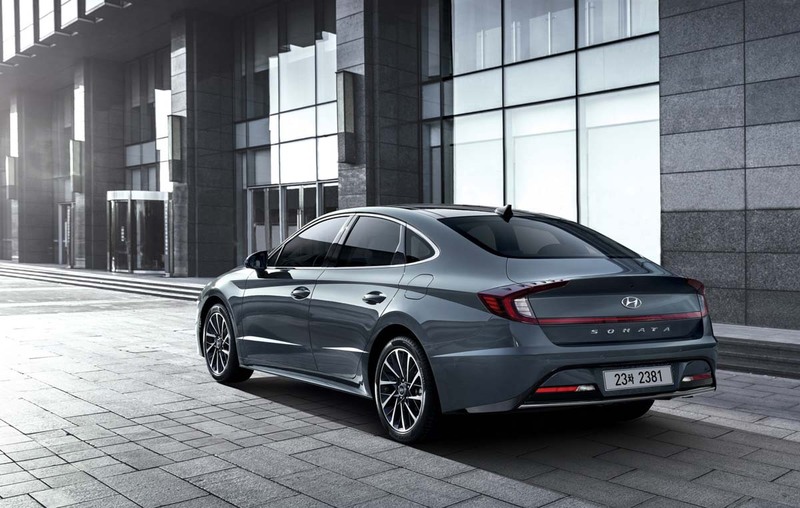 The new Sonata’s sales will commence in the second half of 2019 across the globe.